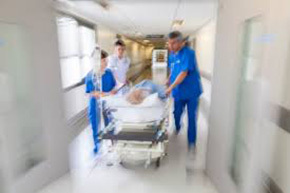 Dr Prag Moodley, GP and Clinical Chair of East and North Hertfordshire Clinical Commissioning Group (CCG) said, “The Accident and Emergency departments at our hospitals only have the capacity to treat people who have serious, life-threatening or dangerous conditions. Ambulances should only be called in genuine emergencies. If you use emergency services incorrectly you are risking the lives of others and won’t get the best treatment for your illness. “If you come to A&E in Hertfordshire with a minor condition or illness, your care will not be a priority and you will face an extremely long wait. You may be sent away to visit a GP or pharmacist. If you call 999 for an ambulance and your life is not at risk, you could endanger the life of another person in desperate need of emergency care. Phone NHS 111 – for free, round the clock help when your GP is closed, when it’s an urgent but not a life-threatening 999 situation, or if you are unsure where to go to get the right help for your medical condition. Visit a pharmacist – for expert advice and low-cost medicines to ease your symptoms and help treat your condition. Every area has a late opening pharmacy and most have consulting rooms where you can ask for advice in private. Go to www.nhs.uk to find your nearest open pharmacist. Make a GP or nurse appointment – as well as bookable, routine or non-urgent appointments, which are now available every day of the week in this area through the ‘extended access’ scheme, GP practices have a limited number of slots available each day for those who need to be seen urgently. When you call, you may be offered an appointment with a practice nurse, if this is more appropriate. You can also get information on local health services by following local NHS organisations on social media. If you wish to arrange an interview, please contact the Hertfordshire and west Essex STP communications team on email via enhertsccg.communications@nhs.net or by calling the CCG press office on 01707 685140.